January……….. Beijing is a strange old place. There are some immensely rich people here, alongside the mostly closeted expats. There are many smells and sights on the streets, and several Unidentified Frying Objects. Heating The House. And the bed, and the walls. The bed is on the other side of the hollow wall, with the fire right under it. 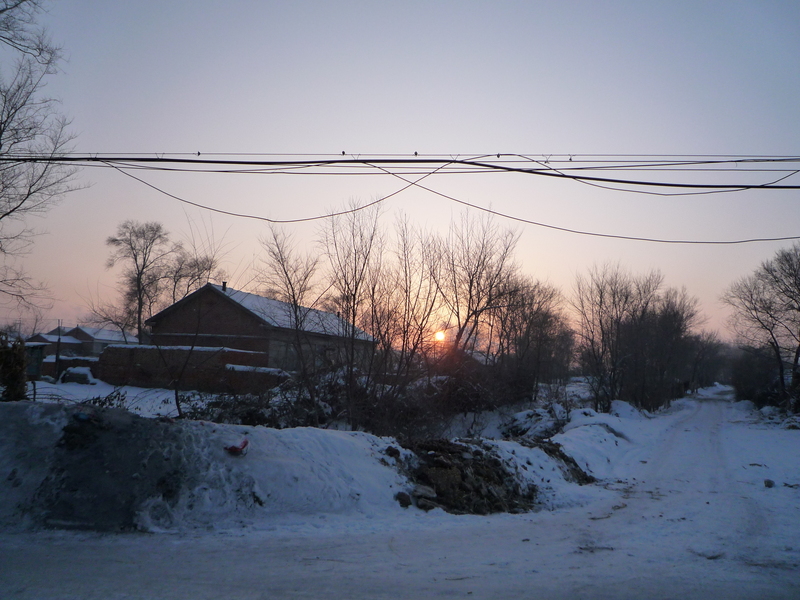 I went to Jilin for (Western) New Year. 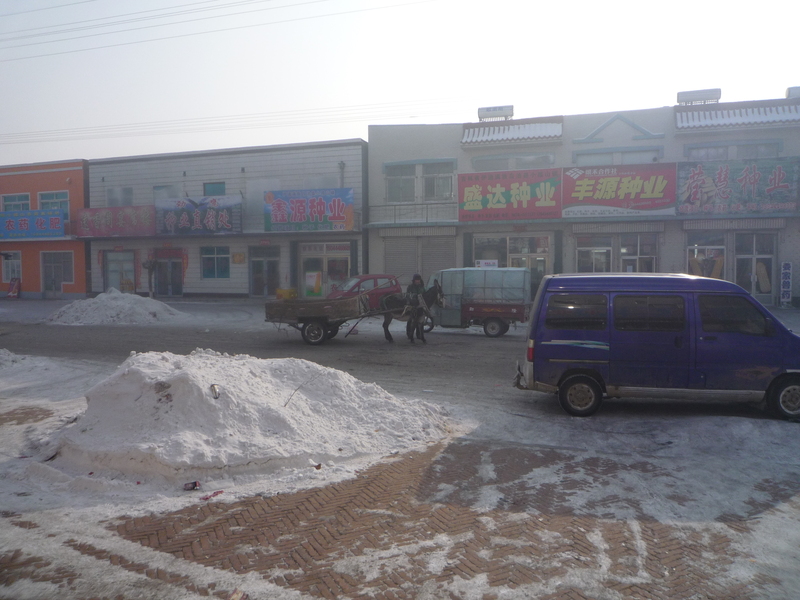 Jilin is in the far north, and is the coldest place I’ve ever been to, at minus 20. Dinner was served the day we left, and it included a massive plate of crispy silkworm, which I just had to pass on. They were big fat things and had been sliced in half. 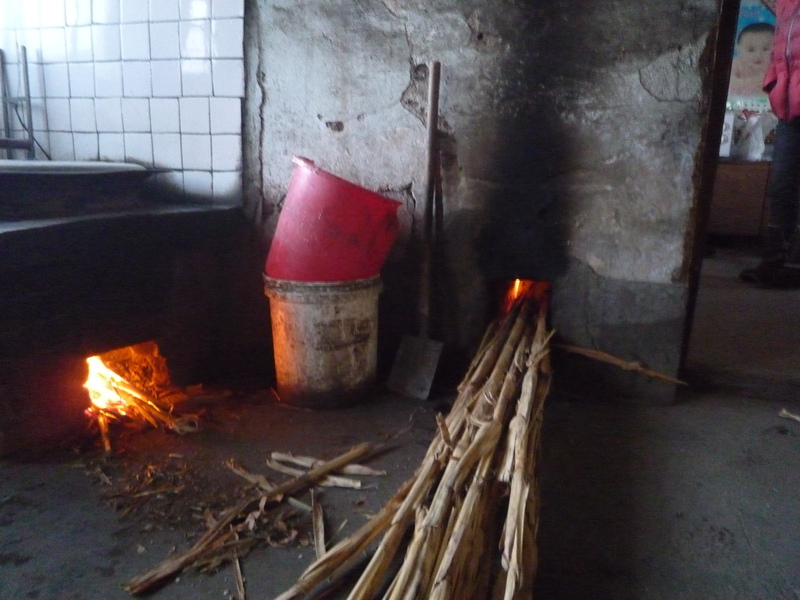 I saw some some really basic living conditions up there, mostly pig farmers or shopkeepers plus their families living in tiny one room houses with smoky fires that burn all day long under concrete beds. No fridges, no hot water, no showers, toilet out the back… so to speak (a hole in the ground at minus 20 IS an experience, let me tell you). There are huge changes taking place in China, and it’s not restricted to the big cities. A couple of brand new blocks have gone up in this small town, with all mod cons, and they are buying them up fast at less than £10,000 a piece. The western lifestyle is coming, and you can see exactly how much more energy the new places use than the old simple existence, with their showers and central heating, and water down the plug hole. I am not a brainwashed citizen (yet), but the West’s criticism of China after the Copenhagen summit was slightly unfair. Nearly everybody, bar the city dwellers, lives in conditions that most of us can’t even imagine spending one night in. They are happy, but when it’s offered, they all want what we take for granted. They are incredibly thrifty and energy concious on a personal level. It’s the horrible gigantic coal power stations that they’ve got to find a solution to. China as a country is now the largest emitter. But per head of population, they emit a fraction of what a person in the USA emits, around 15 times less. It’s the West that needs to drastically reduce its energy use and change its habits. Sadly I have recently been hearing that most modern paradoxical term “sustainable development” in the media here. Anyhow, enough of the polemics. The snow continues at an astounding frequency. And the speed and ruthless efficiency with which it is shown who’s boss is more astounding. Volunteer neighbourhood street clearing gangs roam the estates, making neat banks of snow along clear paths. Our door has been knocking at 8am the last two mornings, and we’ve politely ignored it and stayed under the covers…. 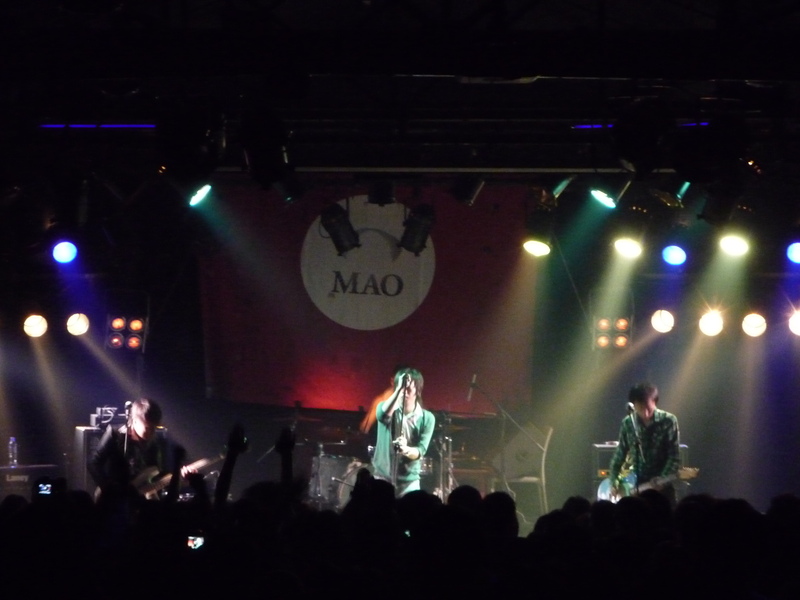 I went to “Mao Live” and saw some great Chinese Punk bands, the last of whom spoiled it by playing a rubbish high speed version of Song 2 by Blur. There is a big picture of the chairman’s head behind the stage. It was packed beyond the limits, dark, sweaty, trashed, decibel smashing, and full of cigarette smoke. More reminders of past experiences that I had so quickly lost touch with. Is that the way gigs should be? It felt so at the time. My stinky clothes, ringing ears and stinging eyes the next morning reminded me how quickly we get used to change.